The Eco Schools Club, Me to We Club, and Student Council are working together to help Oakland-Scotland students understand their impact on the world around them, both locally and globally. The Eco Schools Club is new to Oakland-Scotland this year, and under the guidance of Grade 6/7 Teacher Janet Reeder, students are working to achieve Oakland-Scotland’s first Eco Schools Certification in 2019. Initiatives include Boomerang Lunches, a recycling initiative, and a composting program is in the planning stages. The Student Council is also new to Oakland Scotland this year. With the guidance of Reeder and Grade 7/8 Teacher Nicole Miedema, the council is working to support and provide student voice for fun monthly theme days at the school. Wacky Hair Day is currently in the works to build spirit and enthusiasm. The Council also supports the Eco School and Me to We Clubs with their initiatives. Under the leadership of Secretary Wendy Noble, the Me to We Club is taking on the organization of a We Scare Hunger food drive this month. 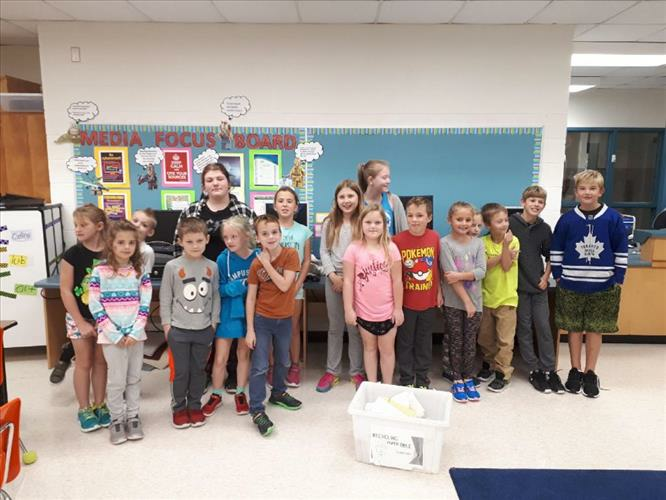 Another first this year, intermediate students will be leading a spook walk through the Scotland Community to collect non-perishable food items on October 31. The club is also looking forward to collecting items for the Brant SPCA Wish List in December. Involvement in clubs is helping students plan and prioritize actions that make a difference, and at the same time, creating an environment at Oakland-Scotland that’s supportive and welcoming for all – echoing Grand Erie’s Multi-Year Plan through the Equity and Community indicators. With so many exciting, new initiatives underway this year, students are finding that they’re stronger together, and are aligning efforts to make their community and the world a better place.